It is very interesting that stamps began with a big bang. When England asked for designs from the public in 1839, it was able to choose a design that would not only provide a pattern for all other countries for decades to come, but it would also not made obsolete by multi-colored designs, and by new yopics, for several decades. 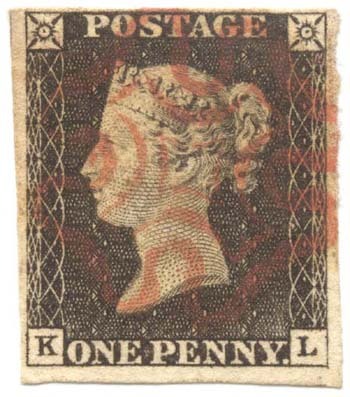 The first postage stamp, issued in 1840 by England, bears a bust of Queen Victoria. 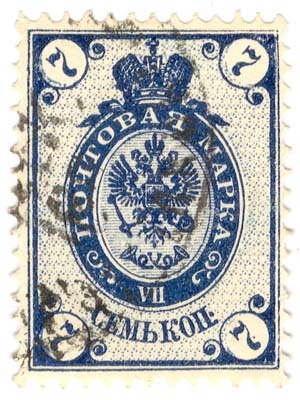 Most stamps well into the 1910s were definitives, and most countries adopted this design concept: the country's monarch or ruler, or busts of important persons in the country's history. 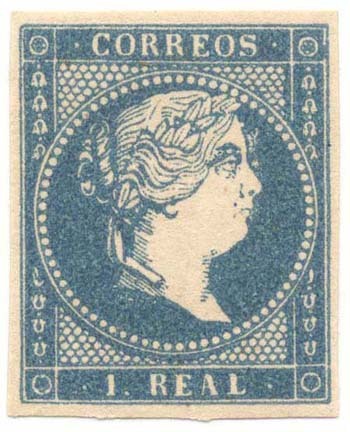 The stamp shown below rigth is from the mid 1850s and was issued by Spain. 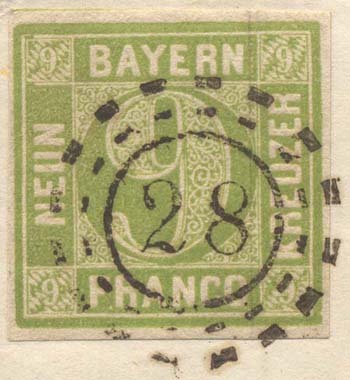 The two other major types of 19th century stamps are numeral issues, such as those issued by Bavaria (now a province of Germany) beginning in 1849, an example of which is shown below left; and coats of arms issues, such as those issued by Russia beginning in 1850, an example of which is shown below right. 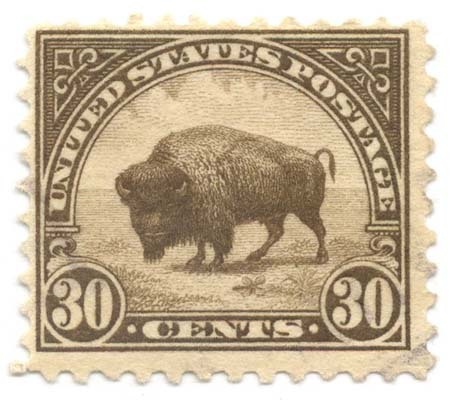 Although selected stamps during the 19th century were printed in more than one color, the use only became prevalent after World War II. 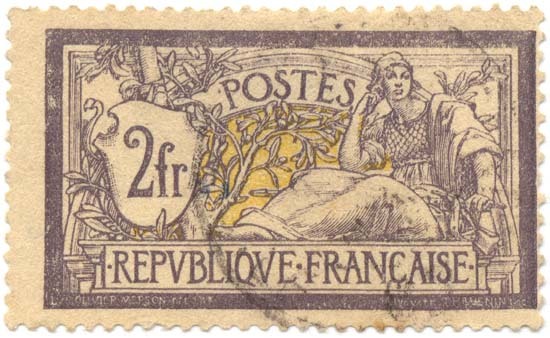 An early example of the use of several colors is the specimen shown below, a Merson definitive from France, issued in 1900. 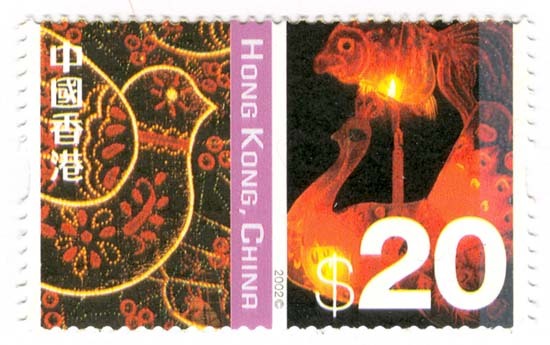 Sometimes a country will design a stamp inspired by a previous design by another country. I believe a good example is illustrated below. Note the similarity in design of the U.S. 1922 30 cent and the Argentina 1935-51 30 centavos. 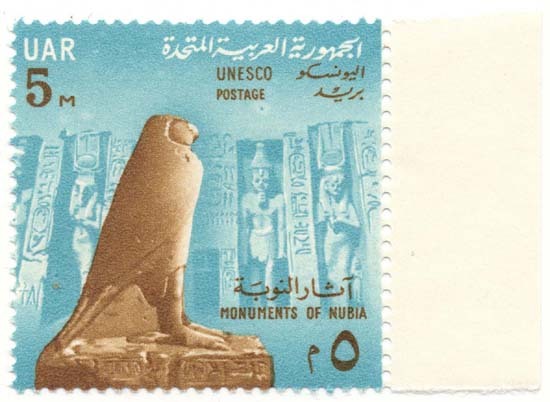 With higher quality plates and better registration of colors, stamps such as the one shown below, issued by Egypt in the early 1960s, became possible. 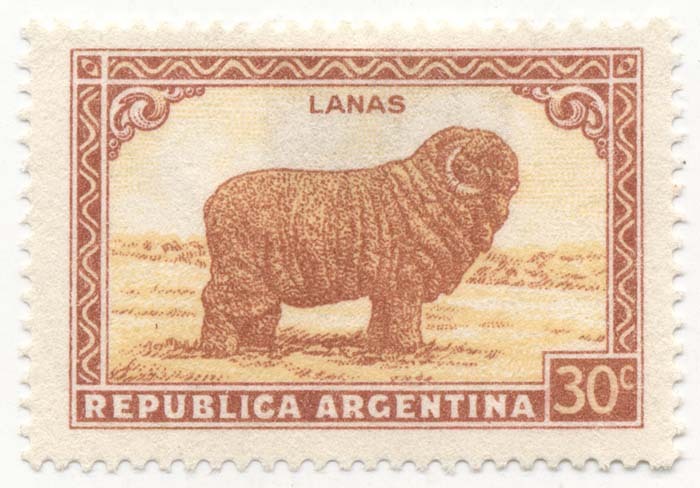 The use of many color plates enabled countries to issue beautiful commemoratives. 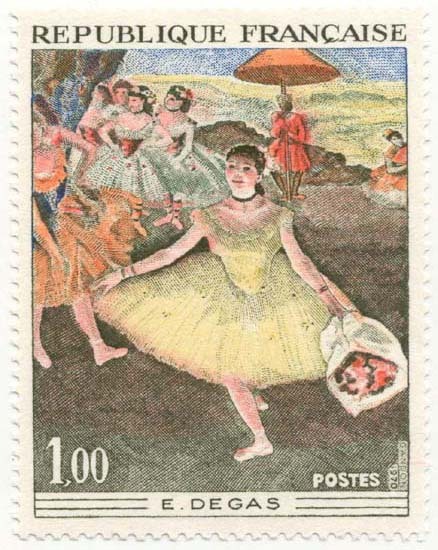 France began a great series of art stamps in the 1960s that continues today. Some modern definitives have been designed in a minimalistic way, even if the technology used is decidedly modern. 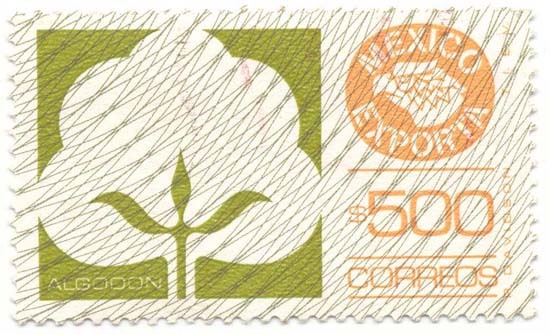 Such is the case with the Mexico Exporta series, issued between the mid 1970s and the mid 1990s. High resolution printing using many color plates has become the norm for many countries. 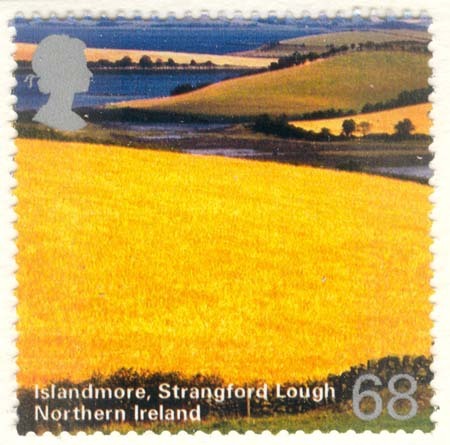 The United Kingdom has issued many beautiful series, including a series showing snapshots from the various regions of the country, an example of which is shown below. Even definitives are being issued using the latest technology and the most current designs. Hong Kong (now part of China) has issued a great series, and I show the highest value from this series below.